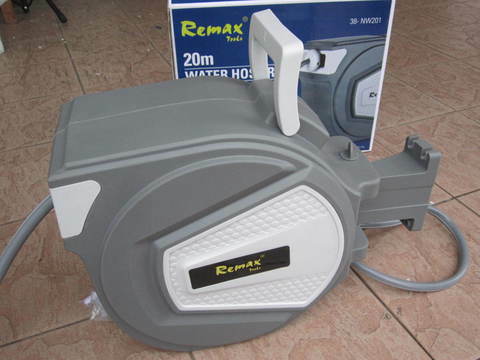 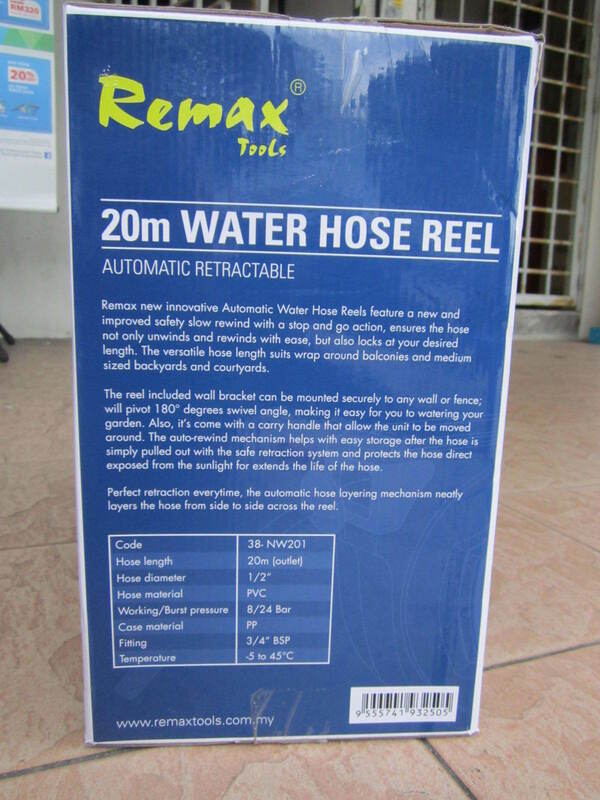 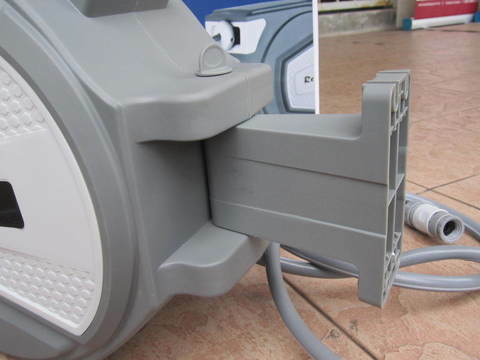 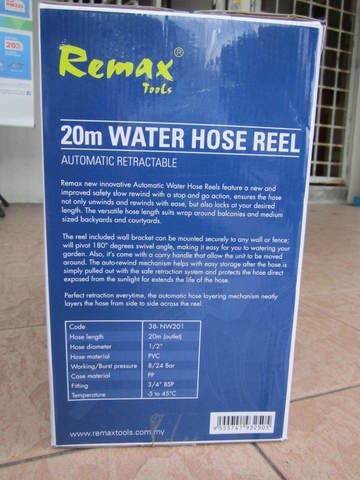 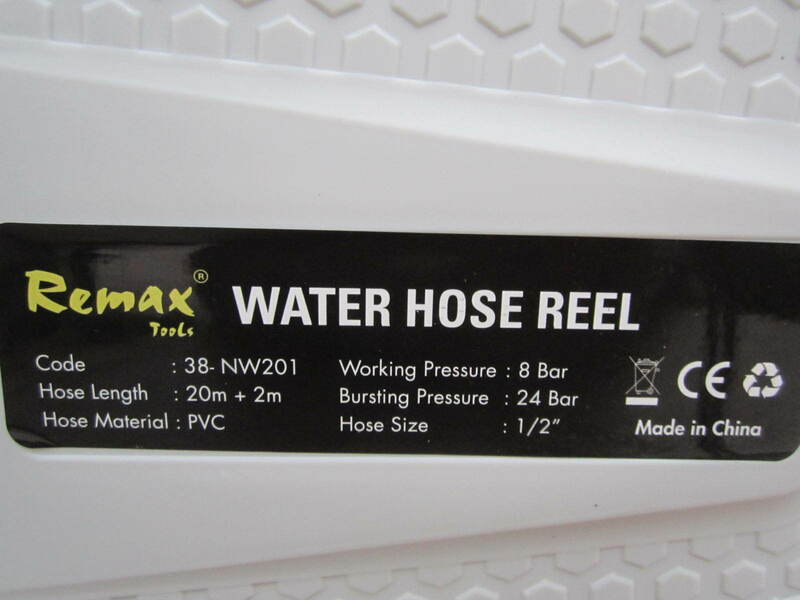 Remax 1/2" x 20m Automatic Retractable Water Hose Reel..
Remax new innovative automatic water hose reels feature a new and improved safety slow rewind with a stop and go action, ensures the hose not only unwinds and rewinds with ease, but also locks at your desired length. 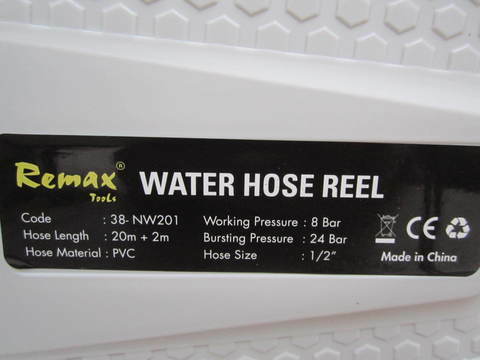 The versatile hose length suits wrap around balconies and medium sized backyards and courtyards. The reel included wall bracket can be mounted securely to any wall or fence; will pivot 180 degrees swivel angle, making it easy for you to watering your garden. 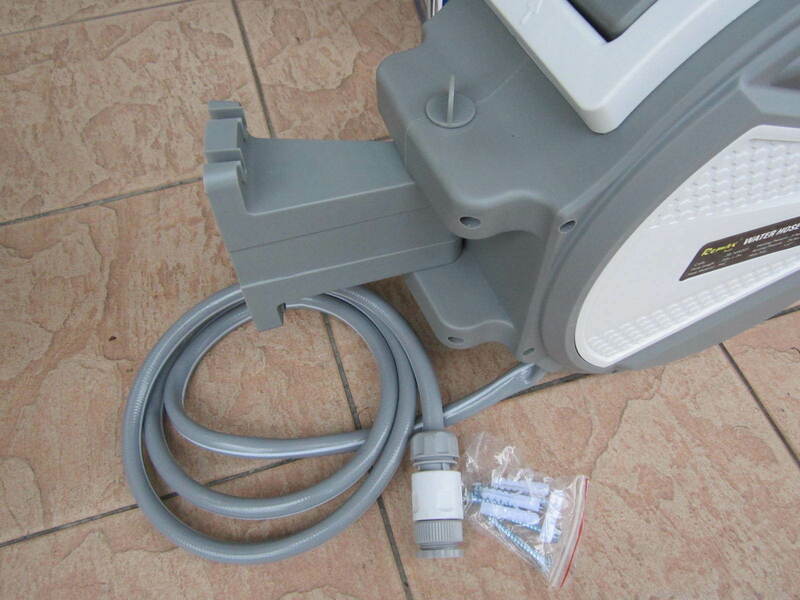 Also it's come with a carry handle that allow the unit to be moved around. 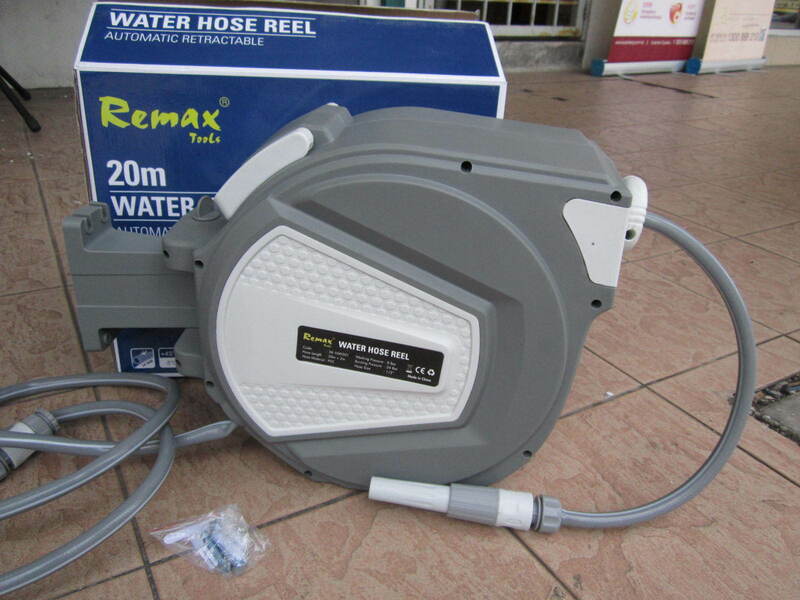 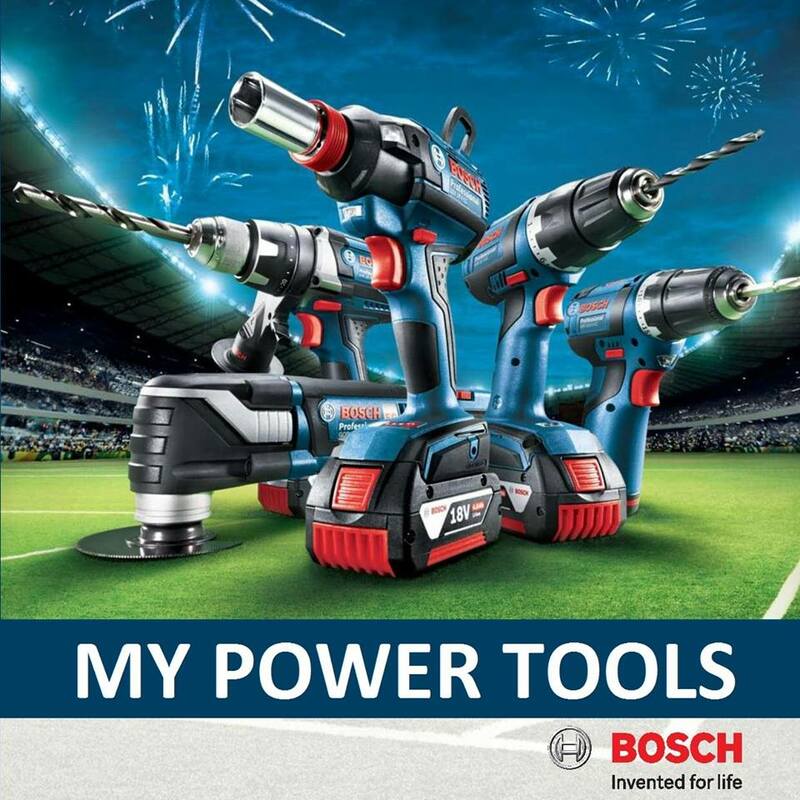 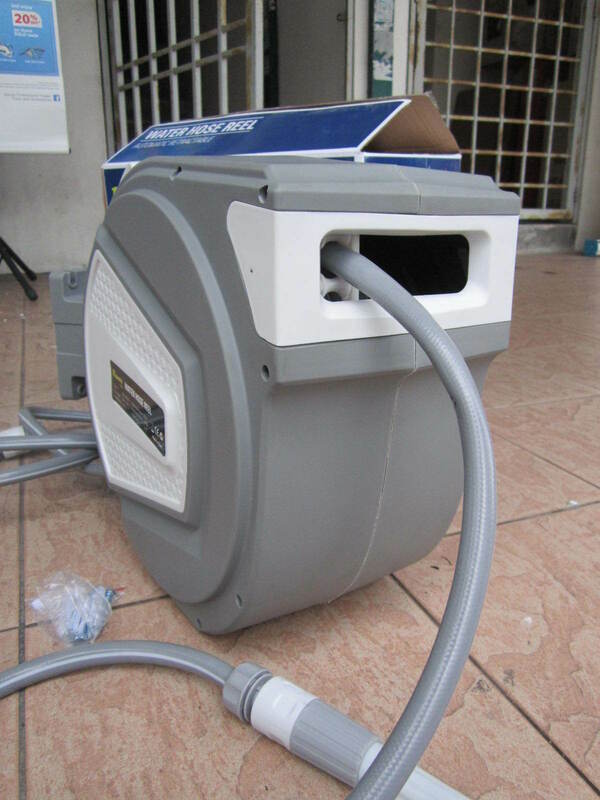 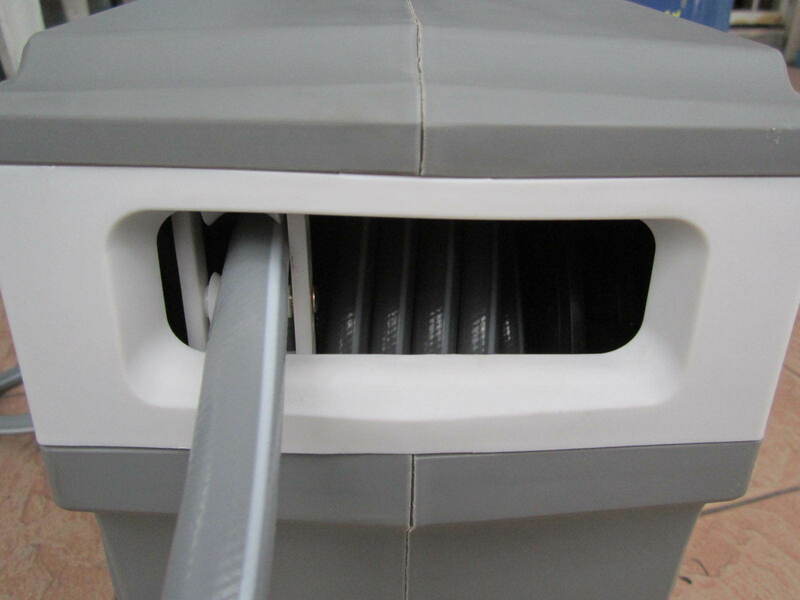 The auto-rewind mechanism helps with easy storage after the hose is simply pulled out with the safe retraction system and protects the hose direct exposed from the sunlight for extends the life of the hose. 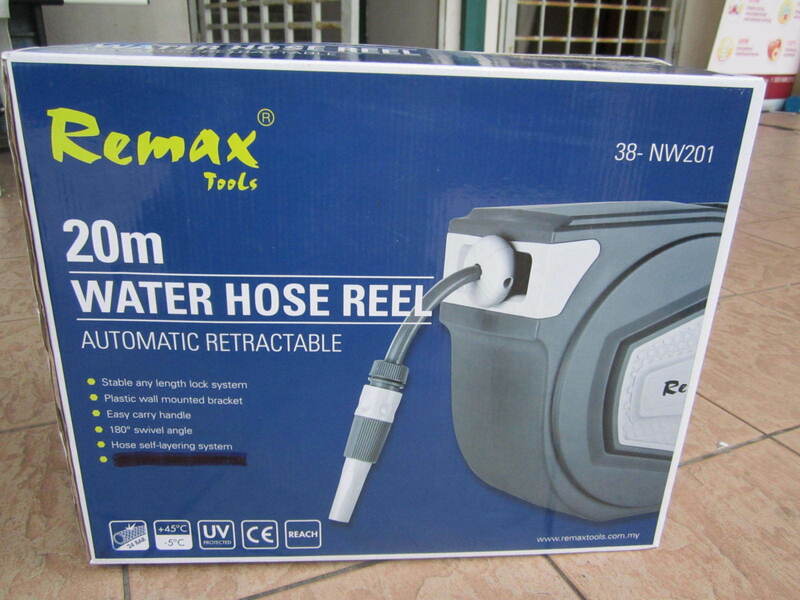 Perfect retraction every time, the automatic hose layering mechanism neatly layers the hose from side to side across the reel.